Essie “Jo” Carter, age 79, of Gainesville, GA passed away Wednesday, November 14, 2018 following a brief illness. She was born on January 3, 1939 in Logan County WV. Jo is survived by her daughter, Leah Gilbert and her husband Glenn, grandsons, Jason and Jeremy Gilbert and daughter in law, Rainey Sanders Gilbert, great grandchildren, Jade, Aiden, Donavon, Essence and Riley, all of Gainesville. Jo is also survived by her brothers and sisters, Jessie Hannah of Ohio, Dosha Carter of Verdunville WV, Donnretta Carter of Verdunville,WV, Willis Carter Jr. of Verdunville, WV. Additionally, Jo is survived by many nephews and nieces. Jo was perhaps best known for her 25 years of service at Mary Mac’s Tea Room, Atlanta’s Dining Room where she served in many positions, however her favorite quickly became her 10-year stint as the Original Goodwill Ambassador. Jo literally met millions of guests that visited the legendary diner and her responsibility was to check-in on their visit and officially welcome them as they enjoyed their meal and she became famous for her legendary back rubs, quick wit, warm smile and authentic southern hospitality! She was legendary and rubbed the backs of Presidents, Vice-Presidents, Heads of State, Congress Men and Women, Governors, Legislators, Atlanta Business men and women from every field possible, and literally thousands of fans that visited from all around the world. It didn’t matter to Jo, where you came from, who you were, what you did, what your race, sexual orientation, or marital status was, all that mattered to Jo was that you felt the love she had to offer. 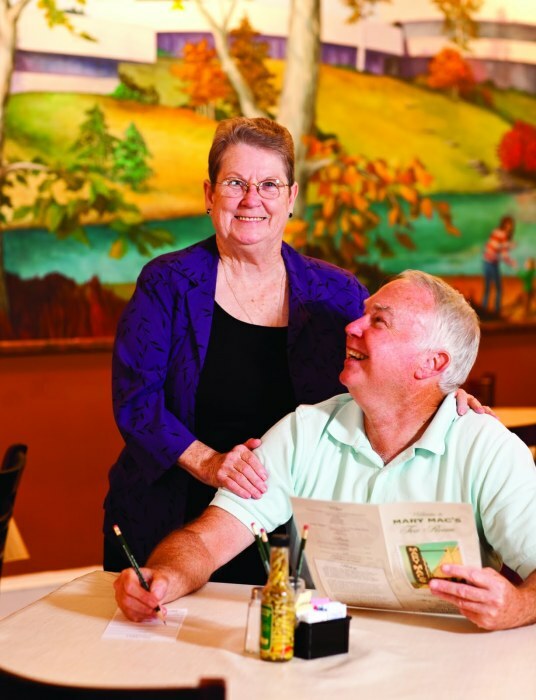 Jo was loved by many, including the entire staff at Mary Macs, and you didn’t have to look far to find her in one of the many dining rooms, you simply listened for the laughter. Jo Carter was an icon, a southern dignitary, a one of a kind living legend that was loved and she will be missed. Jo’s sense of knowing what it takes to make a person feel right at home will forever be a driving force for the Mary Macs family to continue her legacy of authentic southern hospitality. We salute Jo for her years of service and for making so many people feel special and right at home! Undoubtedly, back rubs are being given in Heaven! A Memorial Service is pending by the Family at a later date.